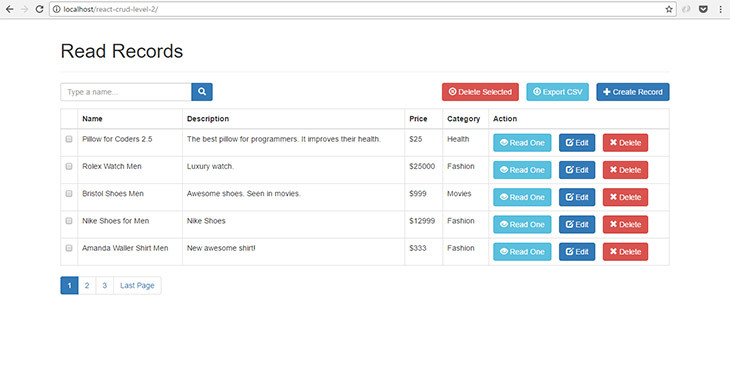 Hello Mike, I’m beginner and I wonder if it is very difficult to create a screen registering the categories? how can I do it? which files change? Hello @jcjrnin:disqus , you can try to put additional components for categories in the main.js, the products components will be your pattern. 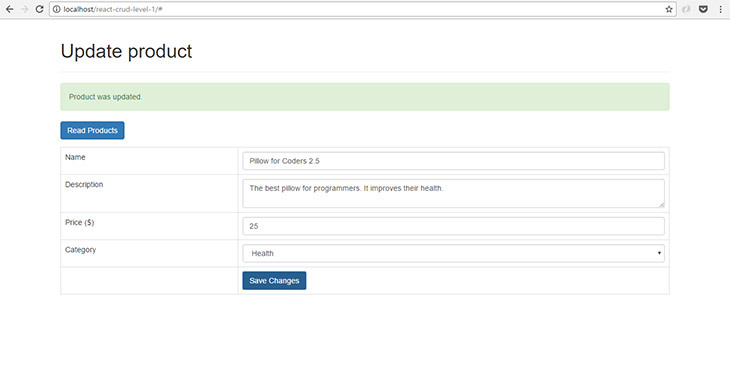 That feature will be included in the LEVEL 3 source code. I will send you an update once it is done. Thank you! I am a beginner and I’m trying to learn handling your project, I count on your help, thank you! Hello @jcjrnin:disqus , you can try something that looks like the following code. Mike, worked perfectly, thank you again and congratulations on the job! You’re welcome @jcjrnin:disqus , thanks for the kind words and purchasing the source code! Hi Mike, great tutorial and very well organized and explained! In order for this app to work this will be needed? Will it be possible to add these files? Hello @disqus_qIGJQJ37ie:disqus , thanks for the kind words and I really appreciate you for bringing these issues to my attention! For the others, I typed the wrong file names as well. Again, thank you so much for commenting about these issues in the tutorial. Thank you so much for the quick reply and fixing the issue. Great tutorial! You’re welcome @disqus_qIGJQJ37ie:disqus , please share our site to one of your friends if you have time. Thank you! Could you please guide me that how can i show run time data on tables means if one user enters data through form from his/her PC 2nd user watch that data on his /her PC without pressing any button. Data should be updated on run-time. Hello @disqus_ppULULy281:disqus , thanks for the kind words! 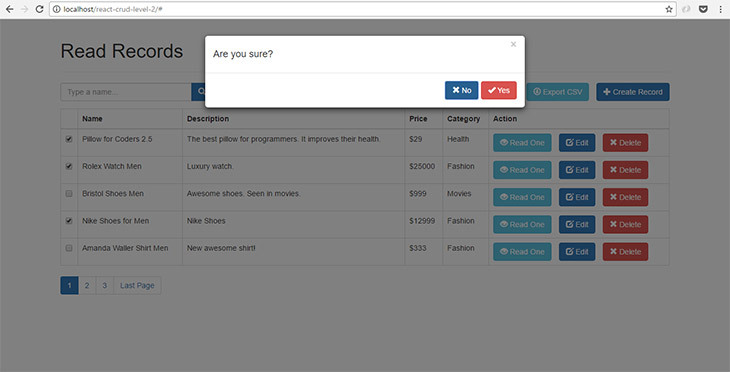 About your inquiry, the feature you described is not covered on our tutorial. But thanks for the idea, we’ll add it on our to do list. what a great tutorial, just got a question maybe you got a idea of where i made a mistake. i litterly copy/paste everything till 8.10 output. when i load the page i dont see any products only the red danger border with no products founds, when i go to create a product, id add products to the database but i dont get any succes msg or msg when its not saved to the db. 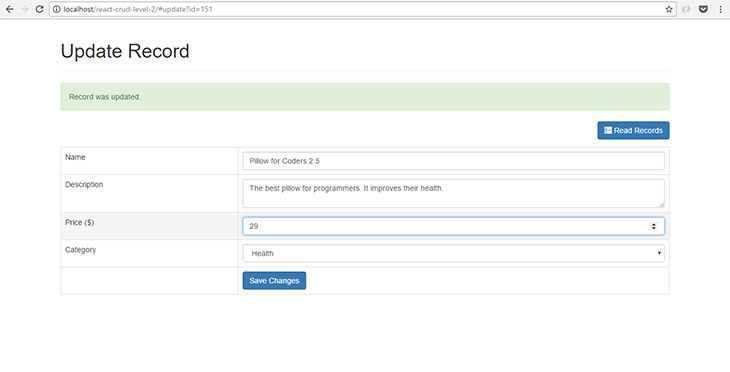 looks like i placed something wrong in the main.js but follow your steps exactly. Hello @supereisuperei:disqus , thanks for the kind words! Would you try to right click the page > click ‘inspect element’ > click ‘console’ tab and tell us the error message? Also, would you upload your project and send us the test URL? We can investigate more about the issue in this way. Both where issue’s where i placed something wrong. i have now everything working. Just a other question maybe you can answer it or make a guide for it. because there are almost no good react tutorial or only older one. But the question is, how can you split/import js/react. Now the react/main.js is pretty big. i want to give every compoment a own file. like DeleteProductCompoment.js and then import it in the main.js just to have everything clear. Hello @supereisuperei:disqus , glad it works for you now! But would you tell us what went wrong so we can improve the post above? Thanks for the suggestion about splitting the app and giving every component their own file. I will update the tutorial with that concept in mind. Please share our site to one of your friends if you have time. Thank you! Me podrian ayudar tengo problema al momento de unir el codigo en el main.js y el jquery.js no se cual es el problema muchas gracias. Hello @xavierinuca:disqus , would you tell us what error message do you see on your console. Also, please don’t use one JS file for main.js and jquery.js, make them separate file. You’re welcome @mirimyu:disqus ! Please share our site to one of your friends if you have time. Can I translate it into Korean? Hi @mateuszmysiak:disqus , we are unable to replicate the issue you encounter. 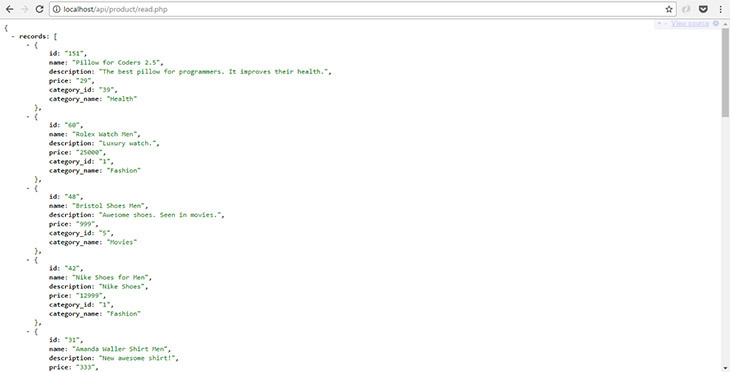 Please right click your page > inspect element > console tab, you’ll see your thee error messages. It looks like you’re missing several PHP files. Fantastic !! Thanks a lot ……!!!!!! 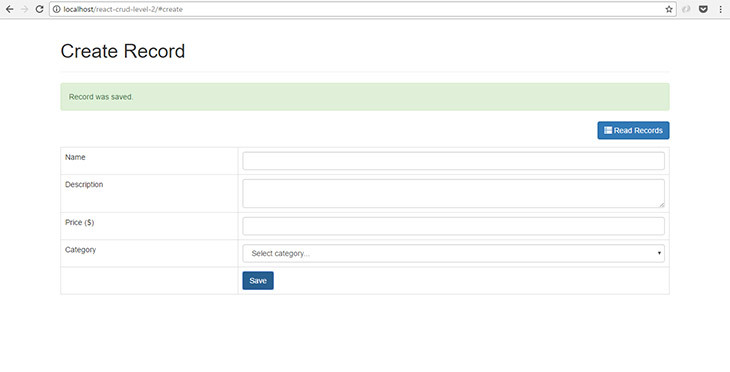 Hi, I followed the tutorials above to create a customized CRUD web app. 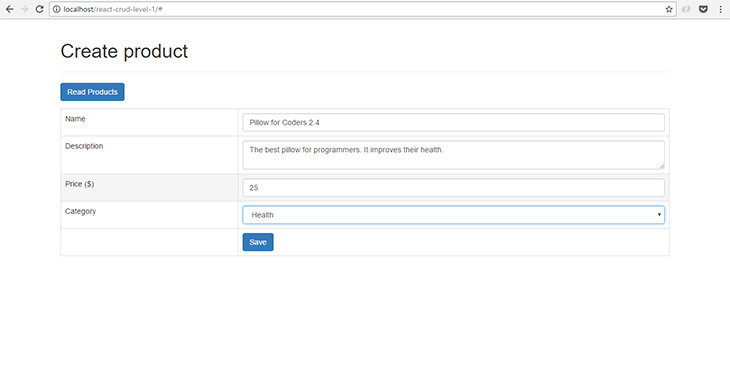 I encountered a problem in readOne() method in product.php when I added another dropdown choice similar to the categories above. Could you maybe explain how to write the $query that starts with “SELECT” if I have two or more drop down menus similar to the categories in the tutorials? Thank you so much! 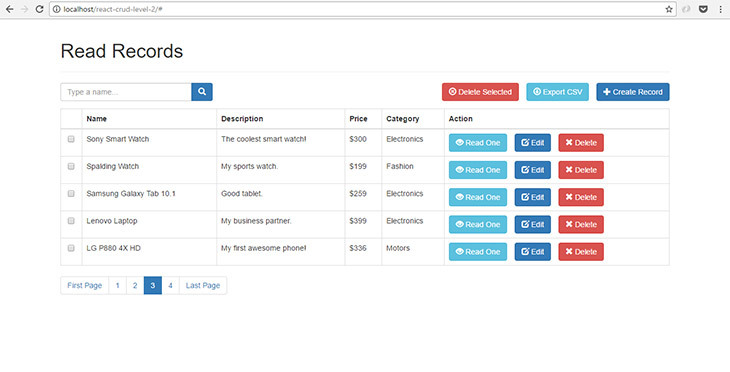 It will return a list of categories with product id equal to 1. You can loop through its value and display it on your app. I mean I have two select tags/options in the form. 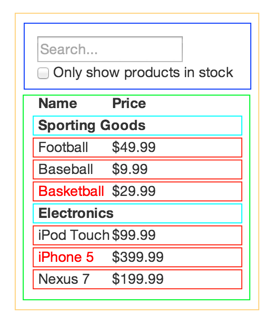 For example, I could have another dropdown menu that allows the users to select the type of the product. When I write the query I need to have two LEFT JOIN in the same query. (e.g. If you’re on the ‘update’ form, adding 2 extra queries won’t be expensive. You don’t have to make multiple joins. Also, do you know any method or tutorial to create a nested form/field where the user could add another group of fields each time inside a CRUD form? Thanks! Sorry, we don’t have this kind of tutorial. Hi @cezar, we are unable to replicate this issue. Which component did you encounter this error? Make sure you’re using the latest version of React as well. can you help me to resolve this issue please? thanks for the tuto.! Hi @cezar117:disqus , in which step did you encounter this error? we are unable to replicate this. but, can you update this tutorial to ES6 ??? 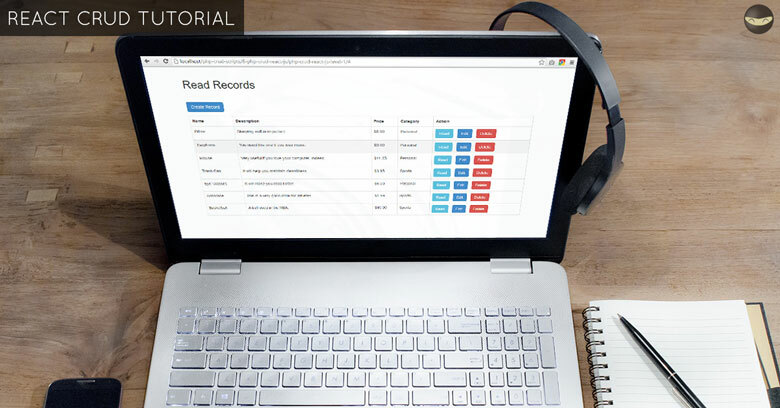 This tutorial is intended for learners who wants to understand the basic concepts of React. I think it is better to make another tutorial with ES6 and Node.js to show better react practices. Hi @jacquesgrov:disqus , which version of React are you using? You can try to make use of ‘onChange’ methods on section 7.3 to validate the values as well. 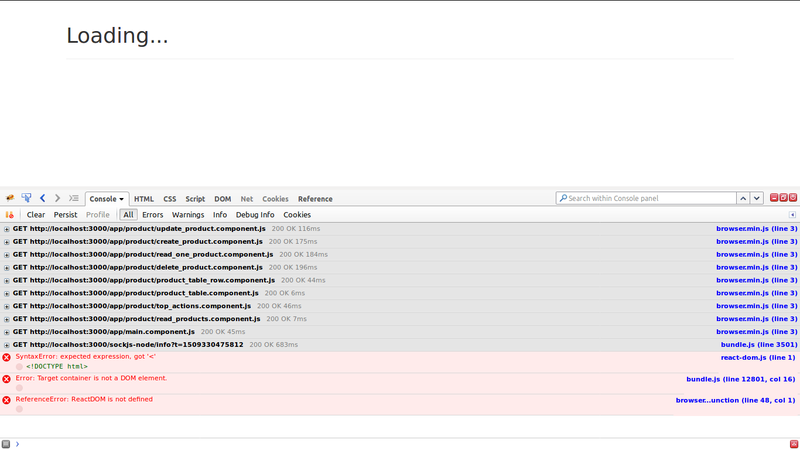 Hi @hellounip:disqus, would you attach a screenshot of the error message you see in the console? We can try to solve it if we know the error message. Hi @disqus_G4er3G8tE4:disqus, thanks for purchasing the code! Sorry for the late reply, I was sick for the past week. I’m unable to replicate the issue. Would you attach a screenshot of the error message you see in your console? All good, thanks for the reply. 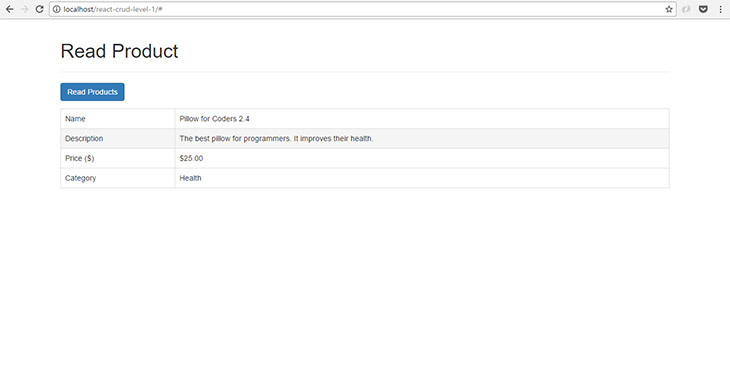 you can view source on all of your .js files, let me know if you see something. 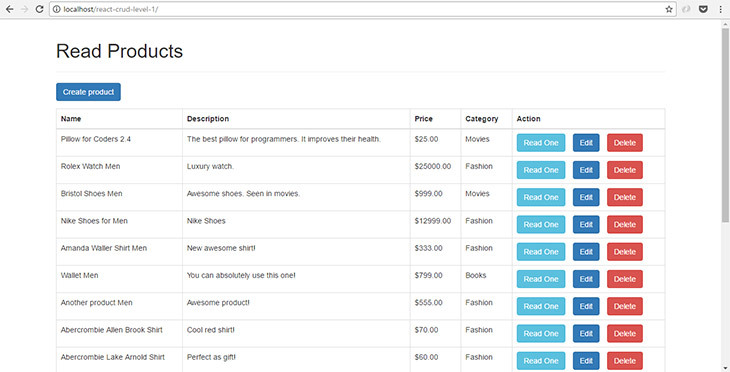 Would be great if you added more react tuts. That’s why paging does not work. If you can give me a temporary FTP access, I can set it up properly for you so it can work on your URL. Hey Mike, I forgot to change the code that is within the api, I was going nuts checking the code in the front-end. anyway thanks for your time and effort for making this tutorial, now I just have to get my head around it. I see, I hope you get it right soon! You’re welcome and thanks for supporting our work. Have a great week as well, @disqus_G4er3G8tE4:disqus! Hi @laurencegpatricio:disqus, thanks for the kind words! I’m glad you liked our tutorials. If you will build complex single page application, I recommend using Webpack to compile all your assets. However, our tutorial above does not cover those topics. It’s goal is to introduce some basic concepts of React. Great tutorials and also best for beginner for react with php. but while doing step by step , it is showing me three major errors in console. Hi @avi_tyagi:disqus, thanks for the kind words! Would you tell me which step are you in? Did you follow the instructions until the end of the section? Hi @andrew_lytvyn:disqus, Я рад, что наш учебник полезен и информативен! any chance of updating this to React 16? Hi @fredtarbox:disqus, thanks for the head’s up! We’ll update soon. …and thanks for this invaluable tutorial! Hi Sir can you do this with redux ? Hi @disqus_IbtVZUU01l:disqus, that will be on a different blog. Thanks for your suggestion! Hi @disqus_5dO4OSBjQr:disqus, data on the table is automatically refreshed once you made any changes. If you completed the tutorial, try doing an update or delete record. can make real-time with SSE or else.? Hi @disqus_5dO4OSBjQr:disqus, you can do that, but it is not part of our tutorial above. 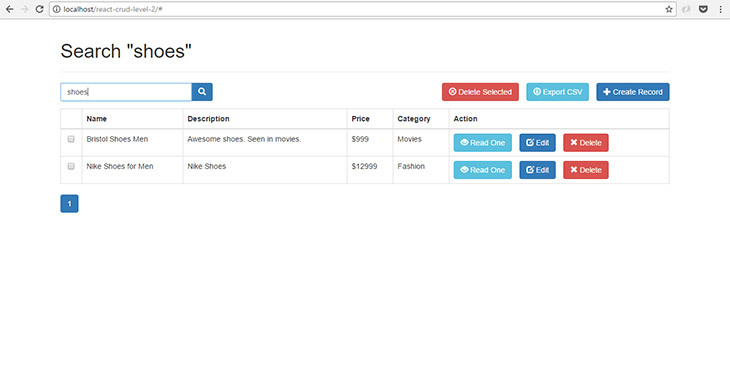 Hi @gideonmohzo:disqus, you should place the code inside create_product.component.js file and save it. I updated section 7.1, thanks for the catch! I buyed level 2, but it have not app folder. no react.js files…. Why? It has only php files..
Hi 박성민, I re-uploaded the code and re-sent it to you via email. 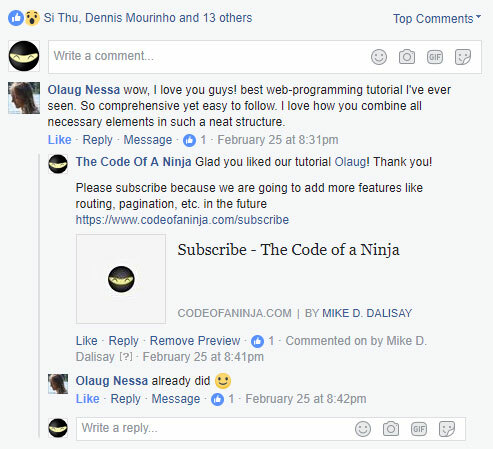 Hi @raquelcasadodias:disqus, unfortunately, our tutorial above is very different from the way you created your project. For those reasons, we can’t help you enough. Well, you can try to follow the exact steps from our tutorial above. Thank you so much for the tutorial! 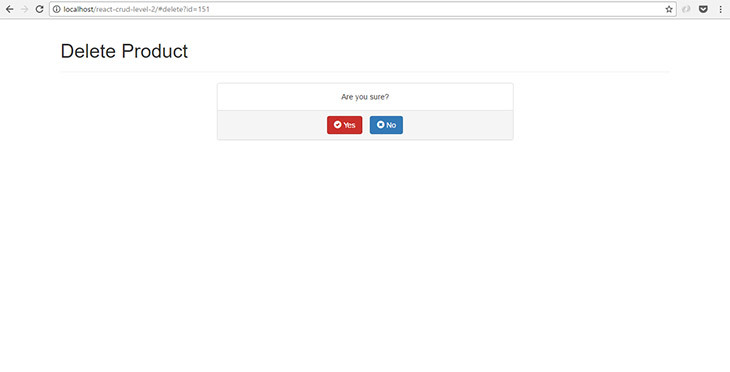 it helped me a lot to get started with react.js. …the browser.js keeps throwing errors and doesn’t allow the app to load. Hi @mrsdis, I’m glad that our tutorial has helped you! unfortunately, our tutorial above does not use the latest React version, that’s why it throws those errors. The purpose of our tutorial above just to teach the very basic concepts of React. Mike I’m running the tutorial but one question why exists a delay when read the products? in the #1 showed me first no record and then display all the records this is normal? Hi @disqus_rm57AuyZBS:disqus, I’m not sure why, I’m unable to replicate the issue. Where did you host your project? 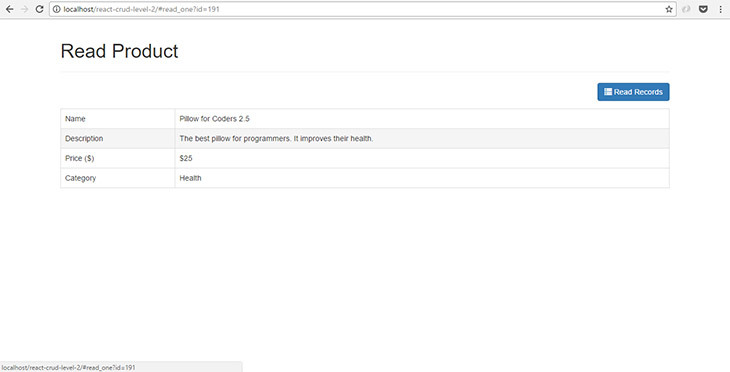 If you download our code above, it has the API files for free. Hello everyone and dear Mike Dalisay. I need to thank you for this tutorials because they are amazing and help me a lot. I just one to tell that I already made this tutorial with the newest version of React. So basically, I made this without Babel, an index.html and also I use a better library of bootstrap use specially for react. I don’t know if you are interested, but I can share the code to everyone so you can read it and know how to do it. Thank you a lot and regards! Hi @supriyakalghatgi:disqus, I will try to do it, thank you. Please subscribe so you will be notified for the update.